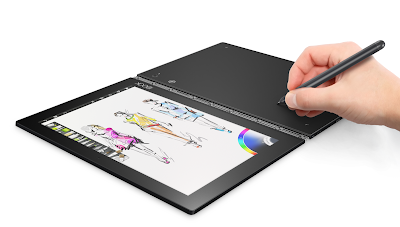 Unveiled at the currently running IFA in Berlin, Lenovo's new Yoga Book is a twist on the traditional laptop by not featuring a physical keyboard. Apart from the tablet-like touchscreen, the other half of the machine (on a 360 degree hinge) is a digital 'smart' keyboard. 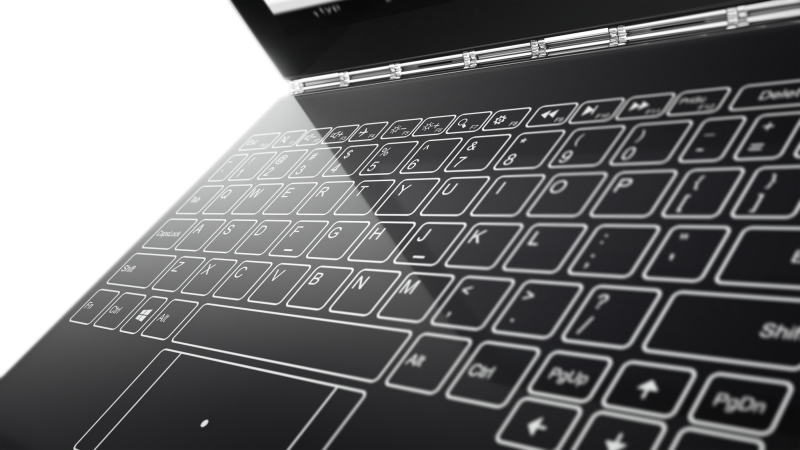 Touch keys can appear for general typing, with Lenovo (obviously) insisting that it is easy to get used to, while the plate can also be used for other things, such as drawing. Scribble something using the included connected smart pen, and the image will appear, digitised, on the screen. This could be handy for designers, but also for students taking notes in lectures - jot down your words, and they will be transformed into type. The Lenovo Yoga Book is expected to ship with both Windows and Android versions, and will cost around £450.